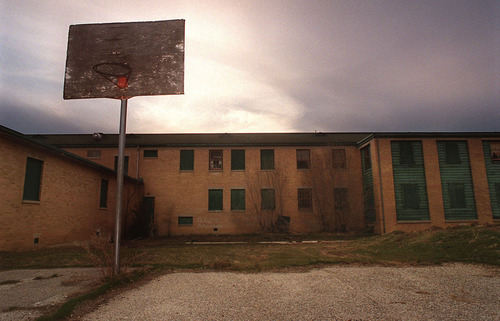 Negotiations • Land once home to military hospital, Indian school. 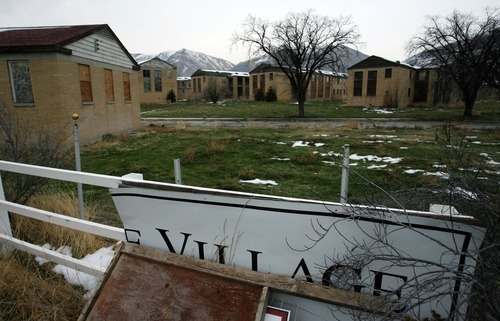 Utah State University wants to develop a 48-acre Brigham City regional campus on parts of the former Intermountain Indian School that have been idle for years. 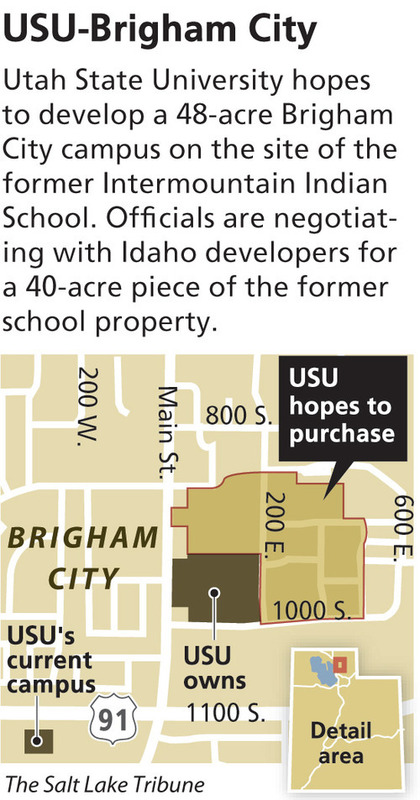 But USU must first negotiate a deal with Idaho developers who recently bought the old school property and offered 40 acres to the university. Last week, USU trustees endorsed the proposed land acquisition and submitted it to the Board of Regents for its approval at its meeting Thursday. Regents are also expected to consider a veterinary medicine program that USU hopes to operate in partnership with Washington State University. 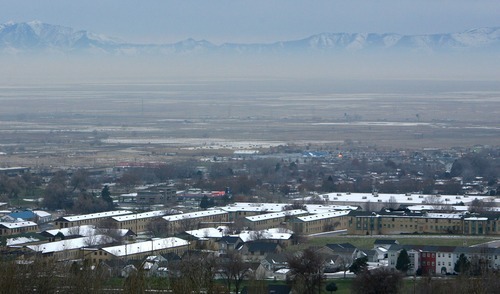 The university has operated a regional campus at Brigham City since the mid-1980s, and a more permanent presence would be welcomed by the city, said Peter Knudson, Brigham City's mayor from 1978 to 1990. "Education is such an important aspect of our lives," said Knudson, now a Republican member of the Utah Senate. "What they're planning would be a statement that 'We are here to stay.' It's something any community would be absolutely thrilled to have." 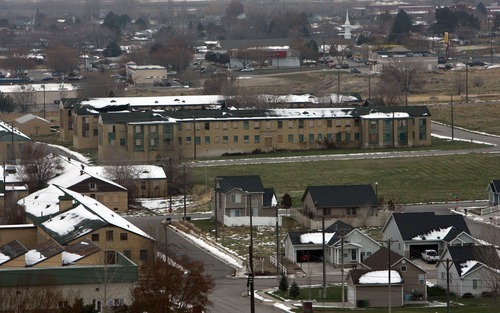 The city first acquired 235 acres in the southeast part of town in the early 1940s and gave it to the federal government for developing what became Bushnell General Hospital, a 1,500-bed military facility for soldiers wounded in World War II. "It had 60 buildings. It was a city. The war ended, but it stayed open until 1946," said local historian Kathy Bradford. "It was a huge, four-year-old facility, so the Bureau of Indian Affairs converted it to a school for Navajos. The barracks were easily converted to dorms." 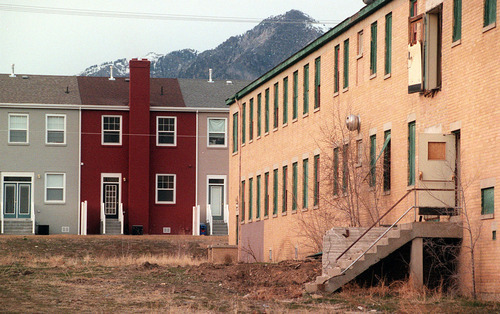 By the 1980s, the government was shutting down off-reservation schools, and Brigham City began exploring new uses for the property. Under Knudson's leadership, the city regained control of the land in 1986 under a master plan that envisioned commercial, residential and recreational uses. 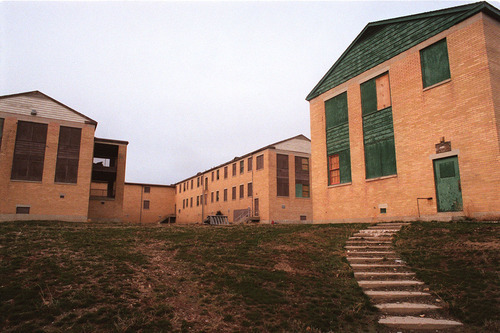 Much of the land has since been converted to a public golf course, but many of the old dormitories in the hands of private investors sat empty for years. 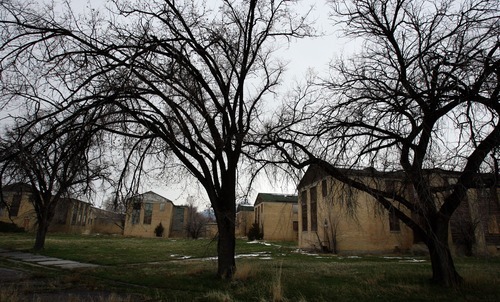 Thomas Development Co., a Boise, Idaho-based residential developer, bought a 56-acre chunk of the former school property this year, with an interest in developing only a small part, according to Thomas Lee, director of USU's Brigham City campus. The firm proposed selling the lion's share to Utah State, which is expanding its network of regional campuses that now enroll 12,000 students. The developers had the property appraised, but a review by a university consultant resulted in "material differences in value," according to a memo explaining the deal to regents. So the two parties are splitting the cost of an independent appraiser to reconcile the differences and set a final price, which USU trustees estimate will be between $4 million and $5 million. Money to buy the property will come from tuition and fees paid by students in USU's regional and distance-education programs. Currently, USU operates in a 120,000-square-foot state-owned strip mall that it shares with the Bridgerland Applied Technology College. The Brigham City facility enrolled 1,012 students this fall, and officials expect that number to double during the next decade. By then, Utah Transit Authority expects to extend its FrontRunner train service to Brigham City, offering a commuter link to urban Utah to the south, Lee said. "A lot of our students live at home for the first year or two and get their associate's degree, then transition to the [USU] Logan campus," Lee said. "One of the interesting things we see happening shows the Wasatch Front will keep moving this way. We see the potential to be a commuter campus for the northern Wasatch Front." The proposed campus is a 48-acre block where the southwest corner is formed by the intersection of 1000 South and Main Street. An 8-acre section on the corner, the site of an old Kmart, has already been donated to the university. Ten barracks and a few other former school buildings sit on the land. They would eventually be razed to make room for new buildings and plazas, Lee said.